Regular professional dental care is imperative to a healthy life, for us and our pets! Thanks to the alkaline nature of their saliva (which encourages the growth of bacteria) and the infrequency of toothbrushing, 7 in 10 cats and 8 in 10 dogs show signs of periodontal disease, or gum disease, by age 3. Continual accumulation of dental tartar can cause pressure and inflammation of the gum tissue and eventually loosen teeth. 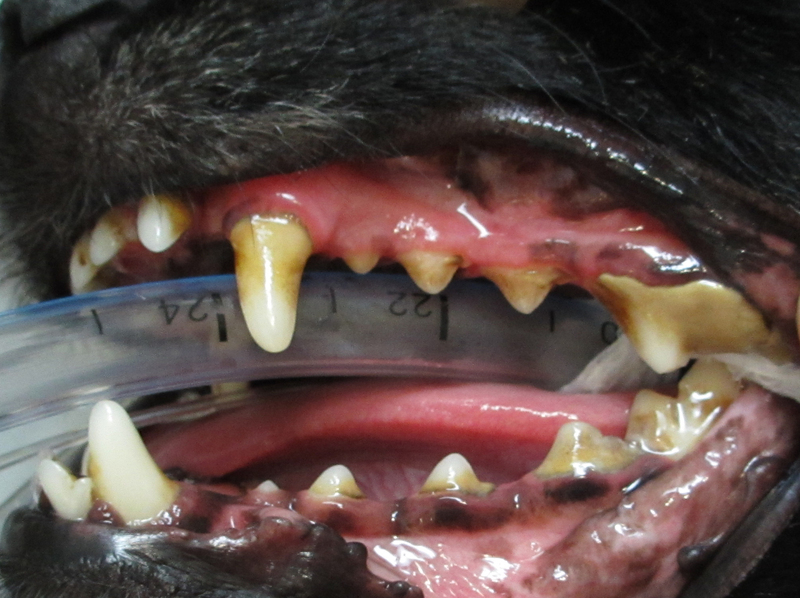 Your pet's breath will become malodorous and his or her mouth becomes a source of infection. Oral infections can affect other organs such as the liver, kidneys, and heart and can lead to major health problems if left untreated. Consequently, regular dental care can not only improve your pet's quality of life, it can actually add years onto their lifespan! Take dental radiographs to look for abscesses, tooth fractures, or any other dental problems that may be difficult to spot with the naked eye. Check out those pearly whites! Her breath is much fresher, no more gum soreness, and she's not swallowing all that nasty bacteria anymore. Seeking a second opinion? Need a surgical consult? 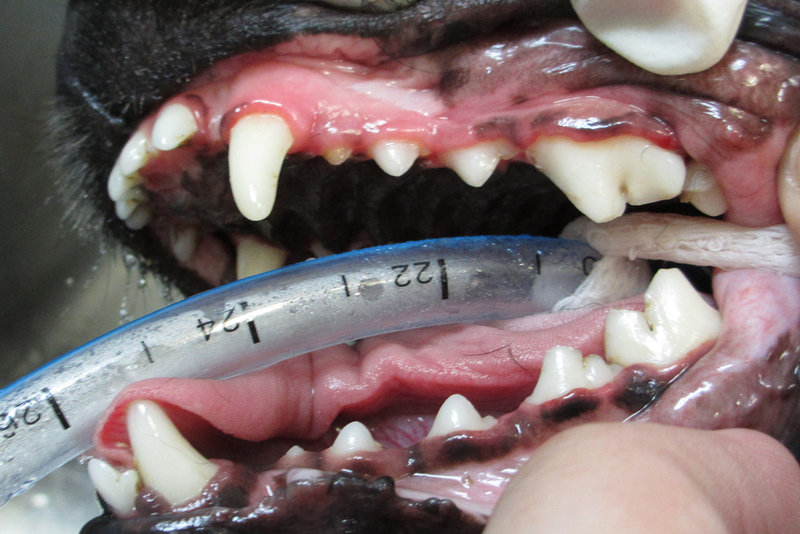 Unsure of the extent of your pet's dental needs? Sometimes you just need to trust that the advice you've been given is accurate. Our caring and knowledgeable doctors are happy to provide complimentary consultations for new patients who need surgical or dental care and second opinions. Please call to see if you qualify and to schedule an appointment for your consultation. New clients only. Eligibility based on availability of medical records. Allow up to two weeks for scheduling.